Total PFS are the exclusive UK distributor of the Introma ZD 2SR Wire Stitching machine, manufactured in Europe with over 10000 machines sold worldwide. The Introma ZD 2SR will produce a clenched finished document from 2 to 25mm, stabbed finished document to 40mm, also the Introma ZD 2SR will produce loop stitches. Using either flat or round wire the Introma ZD 2SR is without doubt the most reliable wire paper & book stitching machine available. Operation of the Introma ZD2SR is either by a footswitch or fully auto mode giving you more flexibility when operating the paper stitching machine. 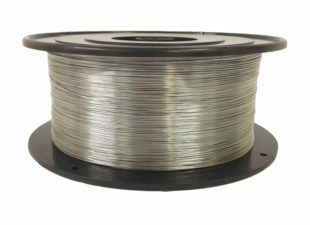 We stock all stitching machine spares and accessories plus a large range of stitching wire, round or flat wire available for various different jobs. We also have a large range of fully refurbished ex showroom and pre-owned stitching machines & print finishing equipment – please call for details. Please call us now for a demonstration or expert advice on the right machine for the job!